Free from Gluten, Free from Dairy, FULL of Flavour! A mince pie free from EVERYTHING I hear you say. Yes, ’tis true that us little Snow Trippin Christmas elves have been hard taste testing gluten free mince pies for many a season to finally produce a little mouthful of crumbly pastry mince filled goodness that is FREE from gluten, dairy, nuts, soya, is organic and tastes great! 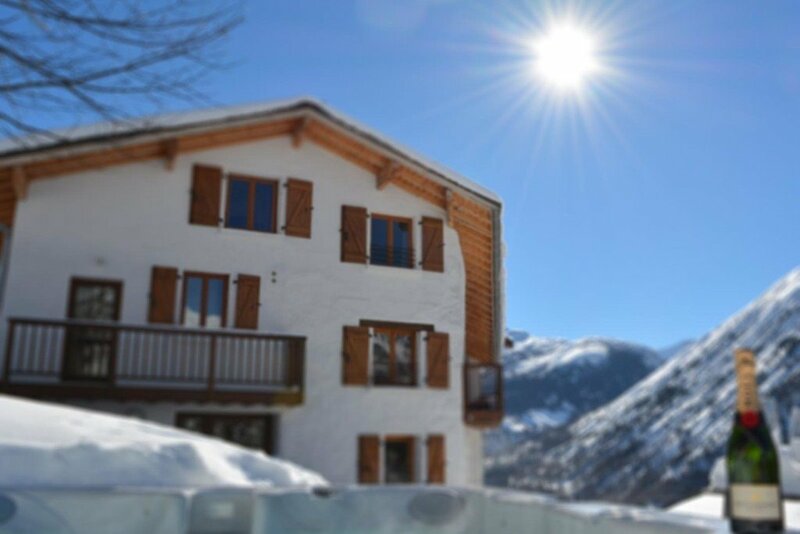 Last winter season we had a wonderful group of guests who stayed with us at Chalet Broski in St Martin de Belleville for Christmas week. As this is the season to be jolly and of course stuff your face with as many sweet things as possible we at Snow Trippin make sure our guests make the most of their catered chalet experience and that no one misses out on treats, especially Christmas week in the alps! As with all our guests we like to ask for your dietary requirements before your arrival. Whether that’s gluten free, dairy free, soya free, vegan, vegetarian, or you just don’t like mushrooms and can’t stand the thought of peas on your plate, just let us know! So, here is our scrumptious recipe for a delicious, free-from alternative mince pie! Enjoy! Note on the Mince Pie filling: This organic Mince Pie Filling is a delicious, rich, high fruit recipe, sweetened with a blend of apple & molasses with no suet or other animal products. Milk free, Egg free, Wheat free, Gluten free, Soy free, Fish free, Shellfish free, Sulphites free, Nut free, Peanut free, Sesame seeds free, Celery free, Mustard free, Lupin free, Mollusc free, Yeast free, Refined Sugar free, Organic, Free from GMOs (genetically modified organisms), Free from added artificial colourings, preservatives and flavourings and is suitable for vegetarians and vegans! This recipe makes quite a crispy pastry that is really delicious. For an extra twist you can also add a little orange zest for a real Christmassy flavour. Making pastry is very easy and takes only a few minutes. The key to a good pastry is to keep things cool so if using dairy free spread you can always pop this in the freezer for a while if it’s very soft. Place the flour and dairy free spread in a blender or food processor and pulse quickly until it looks like breadcrumbs. Tip the mixture into a bowl and stir in the sugar. Add a teaspoon of cold water and begin bringing the pastry together with your hands into a ball. You will probably need between 1 teaspoon and 1 tablespoon of cold water to bring it together well. It should not be sticky. Add as little water as possible to give a short texture. Roll the pastry out on a flat surface, dusted with gluten-free flour and cut into circles to approx. size of your tin circles. This recipe should make around 8 including lids! Lift the pastry discs up carefully with a slice and place them into your tray, gently pushing down with your fingers. Spoon in the Meridian mince pie filling being careful not to over fill. Chill for 30 minutes. Bake the pastry cases in the oven for about 10 minutes until light golden in colour.